May I present the three winners of the Minted Giveaway--$100 goes to each of you towards any Minted purchase. Please email me at "stephmodo@gmail.com" and include your contact information. Thank you! I am so excited to host such a generous giveaway this week from Minted--a classy, stylish online stationer that promotes independent designers and artists. With Spring in the air and Mother's Day around the corner, Minted would like to offer 3 readers a $100 gift card. Yes, that's right...three winners! And you each will receive one hundred dollars of credit to use on the site. Isn't that wonderful! Talk about upping the odds of winning! A few new things I'm loving at Minted...a Mother's Day Gifts section and a sizable collection of limited edition, museum-quality art prints. And of course, we can't forget the simple and beautiful birth announcements (here is Baby Gray's), baby shower invitations or my personal favorite--the skinny return address labels. There is a lot to get excited about and I promise you'll have so much fun putting those $100 gift cards to good use. So let's hop to it! - You have 5 days to enter this giveaway (closes Saturday, April 28th at midnight). - The winner will be chosen via random.org and announced next week at the top of this post--so make sure you peek back and see if you're one of the lucky three! i love minted. what a great company! I love minted and could use a little freebie... we have a graduating senior this year! Please pick me! Amazing giveaway! What great stuff!! Ive always wanted something from minted, but they're a little out of my price range so this would be perfect! I was so pleased with my Christmas card order from Minted. I'd love to get a little something for myself this time. I am loving their newly released prints. What a great gift for all the family birthdays I have coming up! I need prints to decorate my sad, blank walls! Such gorgeous cards and prints! Truly brings some happiness my way and brightens my day! I love minted so much! Lovely giveaway.. I am not sure if this is open to international readers though! Yes, please. What a great giveaway! I love the abstract prints by Kelli Hall. Great giveaway. Thanks! Nothing makes me happier than stylish stationary! LOVE Minted. I'm using Minted for my wedding invites, so this would be awesome. Fingers crossed!! I would love to get my kids the personalized journals for our summer travels. Oh, love it! I have birthday's to plan, and this would be great! Love Minted! What a lovely giveaway. I have always adored Minted! Such a great giveaway! How I love their beautiful paper goods. I have been thinking about ordering personalized journals for each of the kids to record all their funny sayings and the like; a preppy "smash book" if you will! Love Minted! And would love to use them for birth announcements! What a cute site! Great inspiration for my first opportunity to host a baby shower! 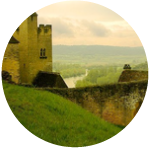 Your blog is lovely as are your photos. Thank you for such a generous give away. Very cool - I love Minted! I was just thinking of ordering from Minted! Love to give my husband handwritten notes. $100 would provide a whole bunch of them! I love their baby announcements! Plus I'm due next month with a little girl. This would be perfect. Thanks for the opportunity to enter this giveaway. I would love to use some of my photography to make thank you cards for my future clients. They have such amazing designs that would help my get me started. I love Minted! Beautiful site! If I'd win...I'd like to spoil my mom with some pretty things. What a great giveaway! I will have so much fun using it if I win. I'm about to order birth announcements so here's to hopin'!! I've been craving some personal stationery. I'd love to win this! With a baby girl due in July, this would be so perfect! I LOVE minted and have always dreamed of sending out a beautiful birth announcement from them. Crossing my fingers! Just redid my living room and could really use some art on those bare walls! I love the art prints... So pretty! I'm a big fan of Minted, and those prints are beautiful! I had no idea Minted had art prints! I love so many of them and my walls could definitely use some sprucing up! I didn't know them but they sure look great. I am in dire need of wall decor! Yay for pretty paper things! I'd love a little something from their shop. Ooo, I have my eye on one of those prints for sure. Wow what a great give away! I would LOVE to win this! I need a piece to put on my new coral colored wall! Minted, this is a great giveaway, thanks so much for the chance, I'm definitely going t be getting mothers day cards from your their site. We may have just bought a house, so I would put $100 to quick work using new address announcements! Thanks for the opportunity. I am planning some bridal showers and would love some cute invites for them. Thanks Steph! The indie thank you notes would be perfect for all my post-wedding expressions of gratitude. I had no idea Minted sold art, and their prints are just my style! Time to start pinning. Pretty please pick me for this awesome giveaway! This would be so great for mother's day! Gorgeous, gorgeous, gorgeous! The three winners will be very lucky! I'm in need of new return address labels... :) Thanks for sharing! I love Minted! I would use that $100 gift card well!! PS: i read your blog religiously. Such beautiful things! Hope it's me!! I have always been a big fan of minted! What a wonderful giveaway! Yes, please! I've nearly forgotten how to use the mail. Help me. I have always liked Minted's cards. I didn't realize that they were now selling prints. Crossing my fingers! You always have such great giveaways ... and I do love Minted!! Thank you. I have a love affair with paper! I wish I still lived in Utah so I could go to City Creek and see the pretty paper store that just opened up there. I'd love one of those gorgeous prints. Wow! Thanks for the introduction to a lovely store. I love Minted! Those prints are gorgeous ! Lovely giveaway...was just thinking that we don't make use of our digital photos in a permanent way. Would love to win this. omg, i've got to have the pear print!! Ooh they have such cute things!! love me some minted! i want this whole set of prints. 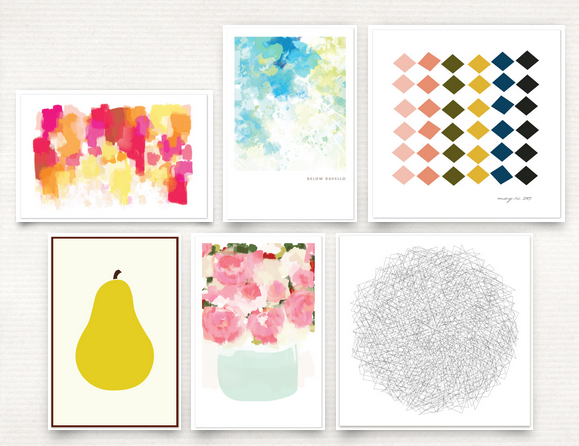 I've been meaning to get some stuff from minted so the gift card would really help me out. Minted printed our birth announcements and holiday cards. When the holiday cards arrived looking not so great, they reprinted them immediately. Great customer service! Oooohhhh! I hope I win! I just spent all day yesterday looking through their baby announcements - such a great company! I am about to embark on the freelance path, and $100 towards the lovely products in the Minted paperie would certainly jump start my business! Love Minted!!!! Wonderful, classy designs. Beautiful prints! Minted has done it again! such a great giveaway! their selections and prints are so lovely! Yes! Love minted! And moving to a new apt soon so need artwork. Thanks! Wow, what an amazing giveaway! I just checked out their site (I can't believe I haven't heard of minted until now) and am in love with the art prints and journals! Thanks for the opportunity to win! wow! I LOVE Minted. Seriously beautiful things! Ohhh! I have really enjoyed my skinny return address labels. So cute! Gorgeous! Would love to send "We've moved" cards this summer. Always impressed with Minted's quality materials and classy styles. Would love to win a gift card. Thanks Stephmodo and Minted! Art prints + Minted. How wonderful! I love minted! Such great stuff! I was just looking at the Minted site yesterday! Pick me! I love it. I want the journal. :) Thx for introducing me to this company. I used them for Christmas cards and loved them! Fingers crossed. They really are so cute! The prints are gorgeous and we will need some baby announcements come November! I hope I win! I love to build a home, constellation, sedona, and elegampersand. i love address labels, i'm hoping you can use minted's on Australian envelopes. I'll definetely be getting their birth announcement cards for our little boy who is due 6 August! Such beautiful paper! I always love pretty invitations! Such beautiful design, and so generous, too! Crossing my fingers. so lovely! pick me, pick me! This would be a fantastic gift for my beautiful wife :) For birth announcements, or a number of other great ideas she has.. I'm feelin lucky! I just lost myself for the past 20 minutes in the Kids Wall Art section, I'm decorating my baby's nursery and found many pieces that would be a welcome addition! What lovely gift ideas! I can think of several ladies who would love something from Minted! Their new art section is amazing! I want everything! I love Minted! Great giveaway! Awesome! I would love to win! I love minted and could really use this for--my senior in high school, my daughter in college, my mom who just moved to Nauvoo...and me! I love minted and just in time for Finn's birthday. I really need some stationary. . .
We are expecting our first child in August and would love to use Minted's Birth Announcements. I adore Minted! Such a wonderful company! Thanks for this giveaway! such a generous giveaway, I'm in! Every time I enter a contest, I hope it will be the time I actually win. oh goodness! the prints look great! Love Minted. Thanks for the chance! 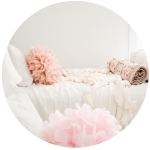 Lovely things on Minted. Had never seen them before, but have now happily browsed their site for 30 minutes. I love finding new places that give me new ideas! Very exciting!! I love Minted! I'd love to get our baby announcements...and even better if they were free!! I'm planning my wedding and would love to use a gift card for my invitations! i've loved our minted cards! I've always wanted a little something from Minted, this would be amazing! Thanks. Oh, wow! What a giveaway!! Love Minted - had no idea they had art prints. i could some serious damage with that gift card from the lovely minted! Would *love* to get an art print or two - thanks for this opportunity! what a great giveaway! I adore Minted. I would LOVE to get those adorable baby announcements!! I'd love some stationery, got my design picked out. I love the MINTED look! 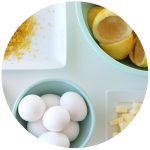 please enter my name for the minted giveaway. what fun! thank you! Love, love, love, that's all there is to say...fingers are all crossed! Ahhh! I love everything about minted! I would love to pick out a lovely baby announcement for our first, due in June. Love their products and have used them before. My daughter is getting married in June and there are so many things we could use from their line! i love the designs at minted! Just in time for our summer redecoration of the room that will be our new baby's when our adoption is finalized. love minted. thank you so much for the chance, i'm in need of some invites for a sweet sixteen. I love the prints you posted!! I used them for christmas cards for 2010 and was so incredibly impressed with the quality and overall product. thanks for the giveaway, Minted! Love your site and what a wonderful give a-way. Thank you for a chance to win! I love Minted and their gorgeous designs. Their designs are so lovely. Oh my goodness- what a fabulous giveaway! I've always loved their stationary & now the artwork too- so many great choices! Absolutely love Minted and would love $100 to spend on all their lovely stuff!! What a great giveaway Steph! 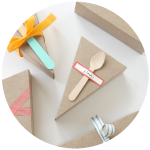 I would love $100 to spend on baby announcements or pretty stationary! and this: http://michelleglauser.blogspot.com/2012/04/spring-y-nails.html), so I'm all up for this! 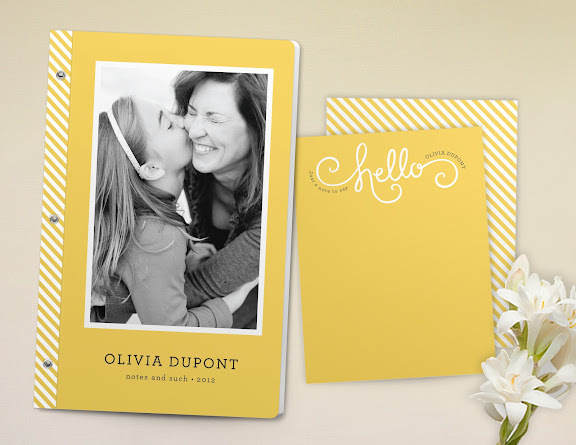 There are so many great designs on minted! I would love to order some personalized note cards! Fantastic giveaway! I love everything minted have! I'd love to order some new note cards and the skinny address labels are awesome. Thanks! Oh how I love Minted! What a lovely surprise this would be!